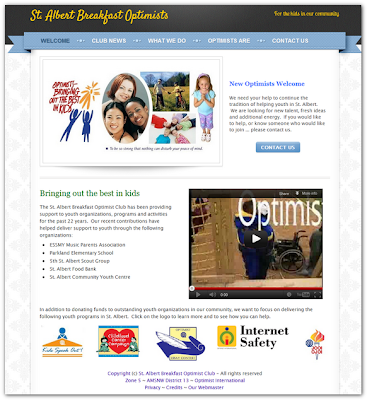 The St. Albert Breakfast Optimist Club is pleased to announce the launch of their new website. They invite you to visit and leave them a comment. This website was designed and is hosted using the Weebly.com website hosting service. Those clubs interested in the details can contact Optimist Gord for more information.